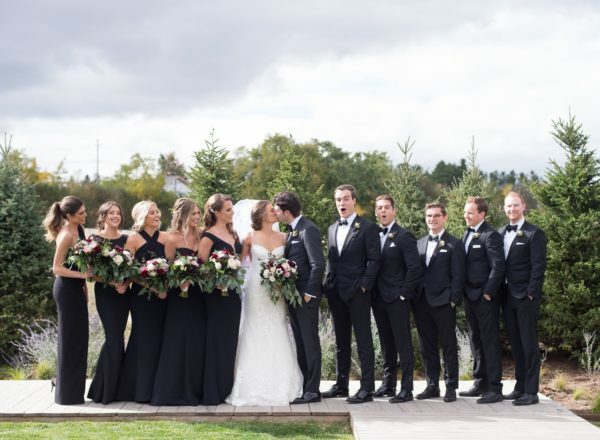 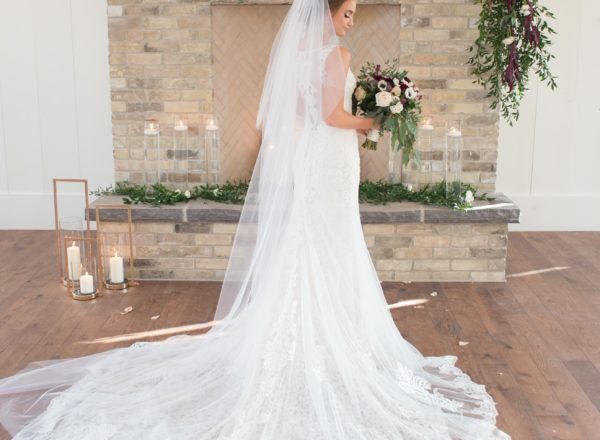 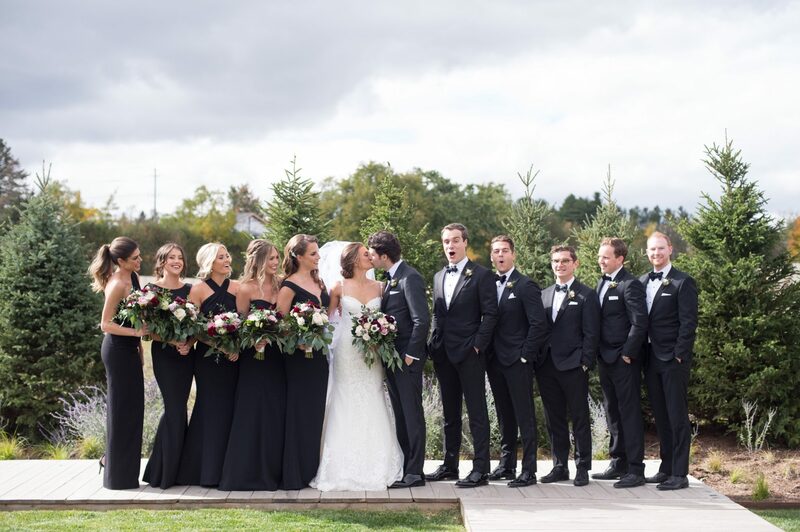 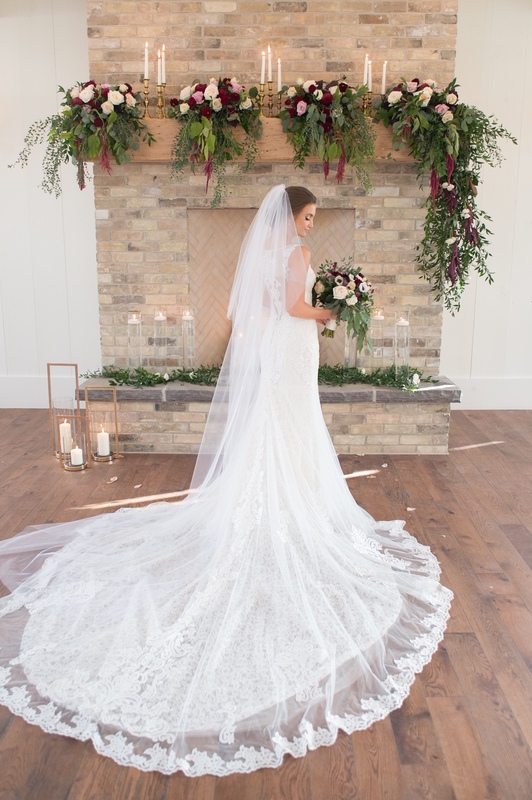 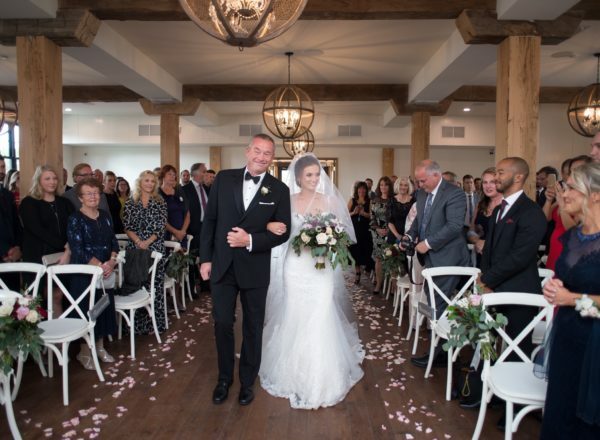 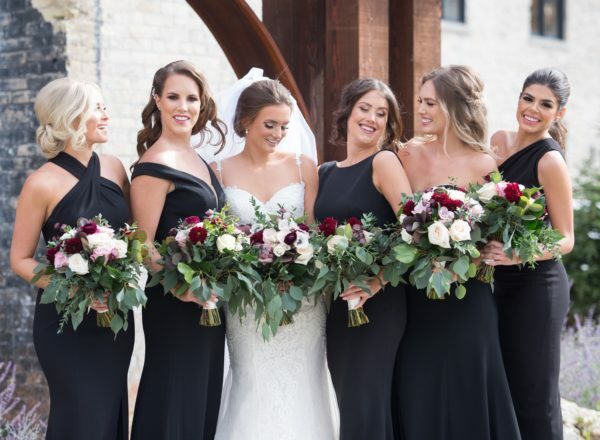 Jill and Chris chose the breathtaking Elora Mill as their venue for their gorgeous fall wedding. 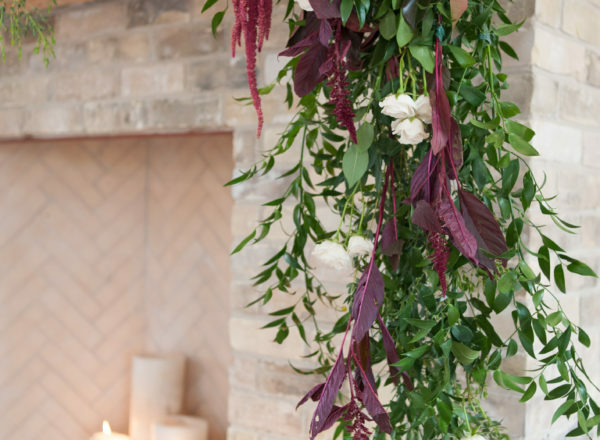 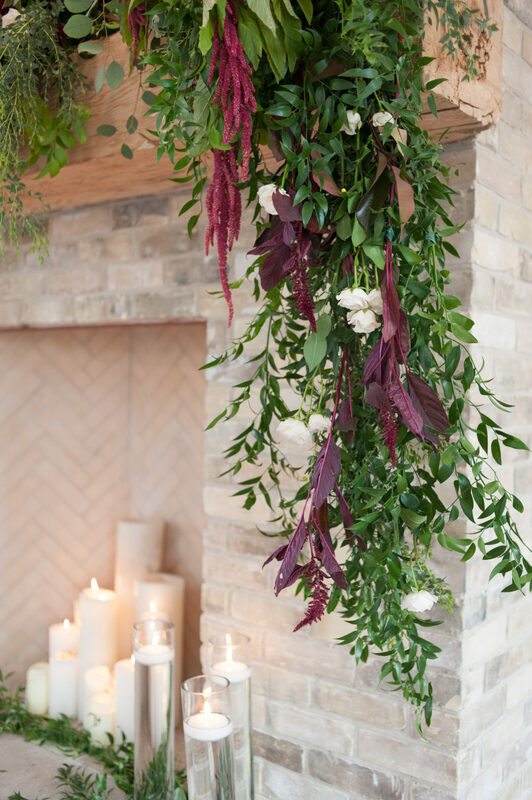 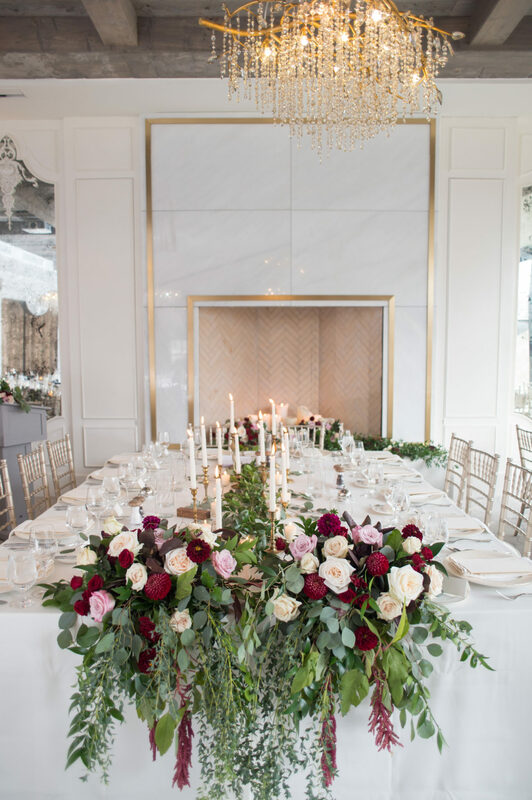 The ceremony was held in front of the grand fireplace of The Foundry, adorned with beautiful bespoke floral cascading from the mantle. 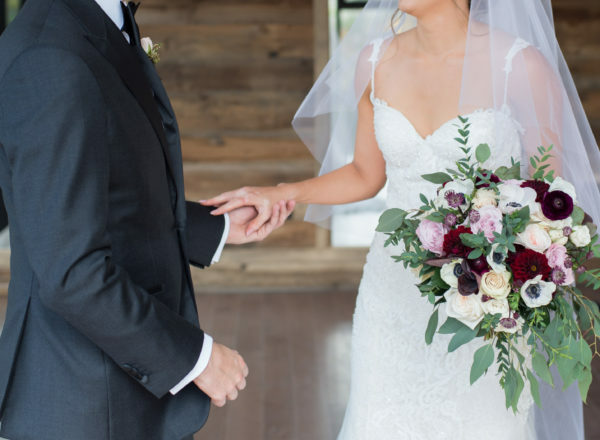 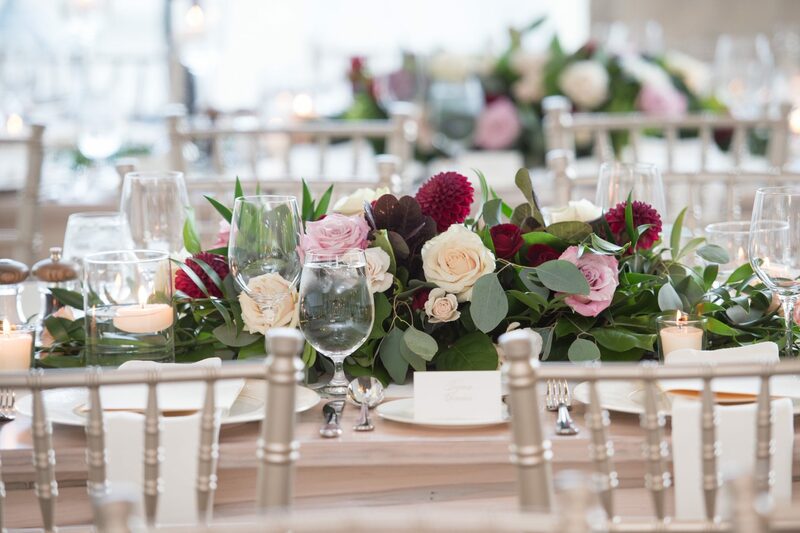 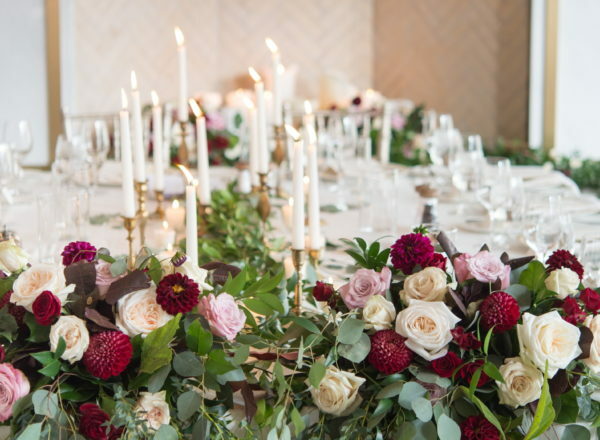 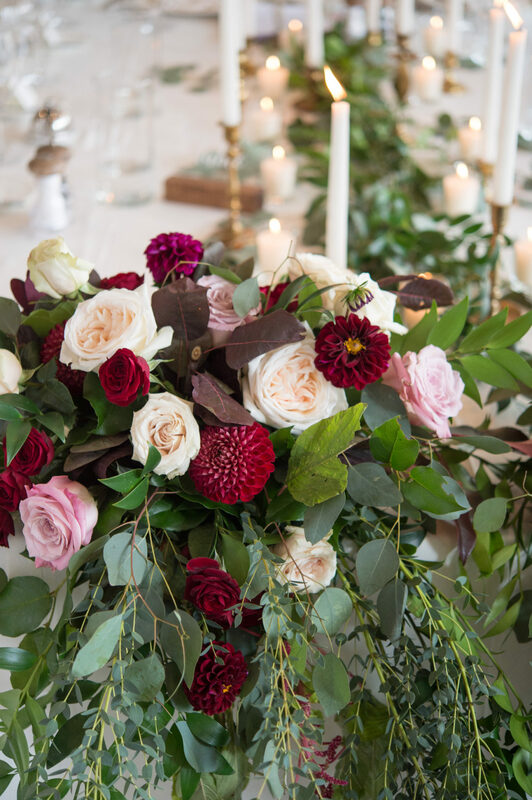 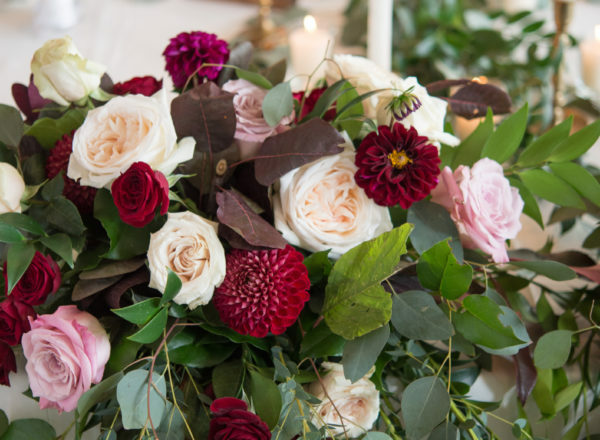 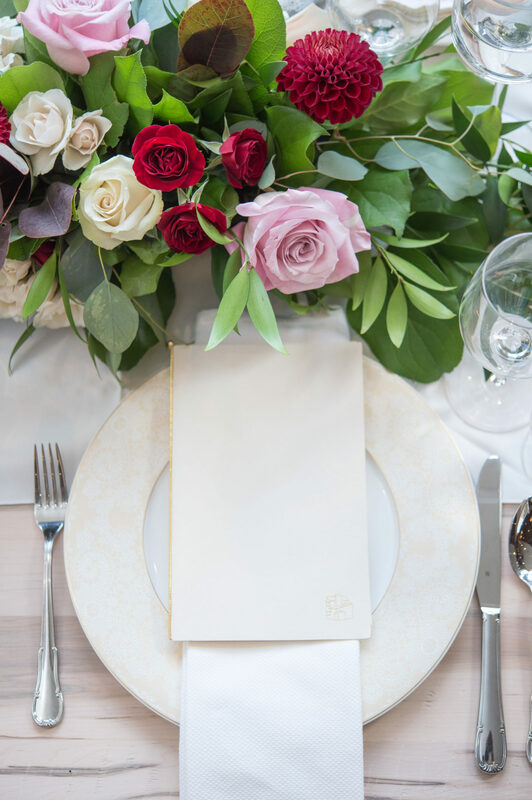 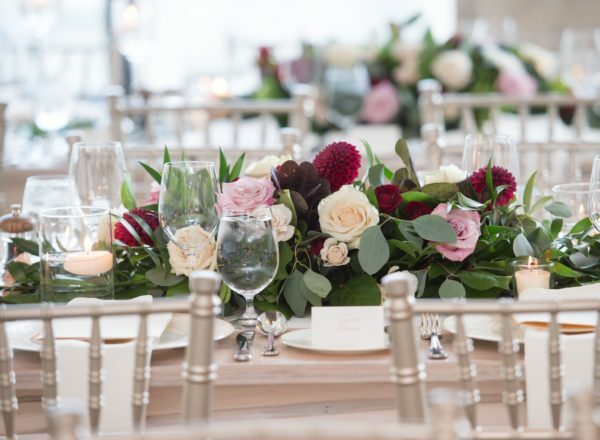 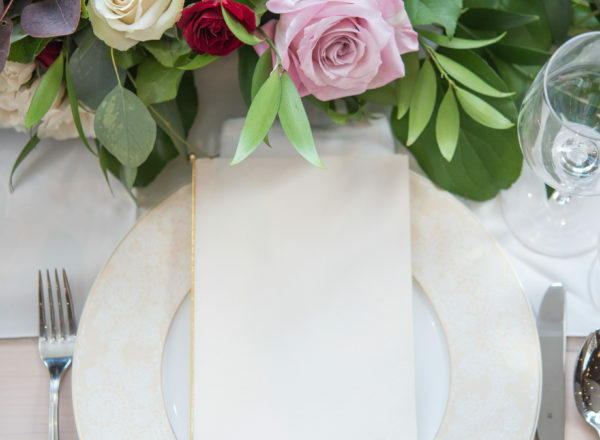 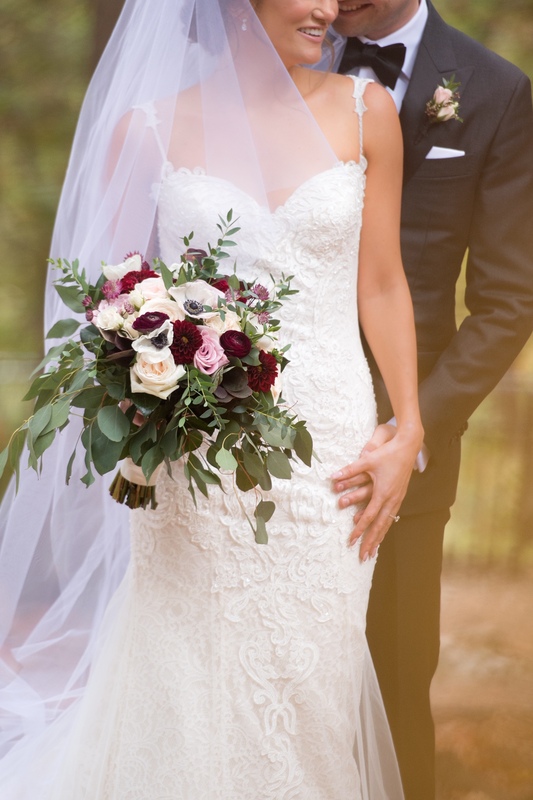 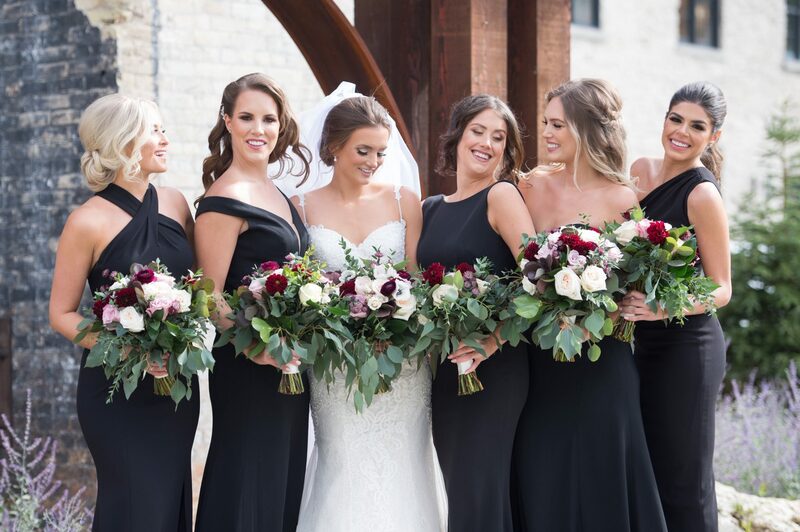 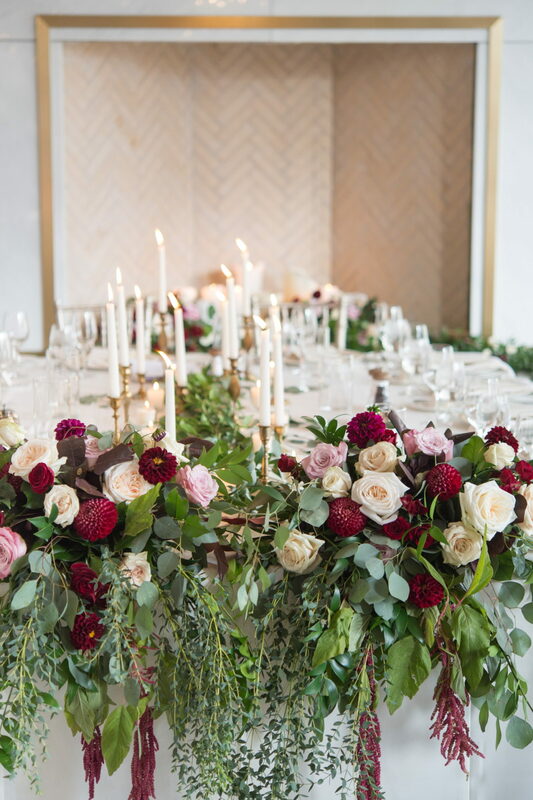 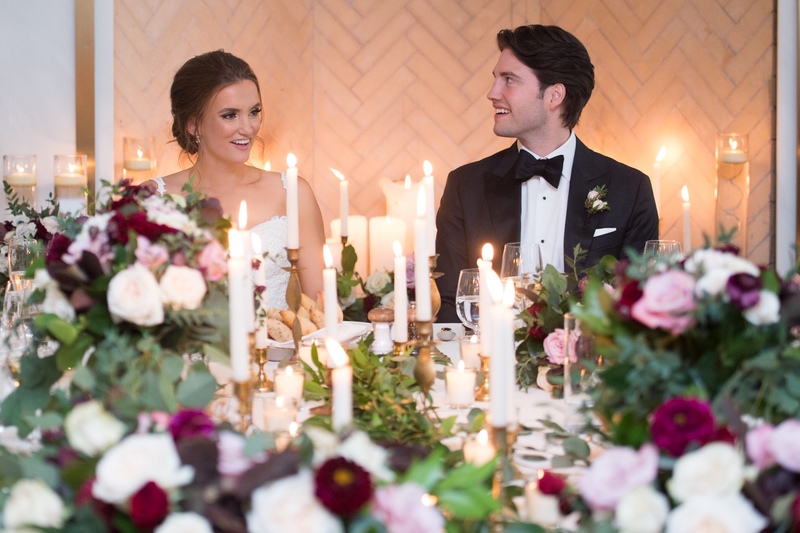 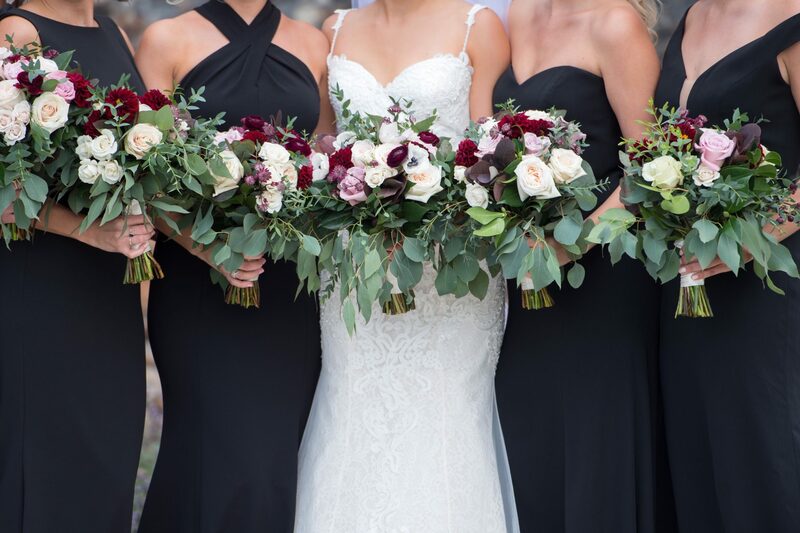 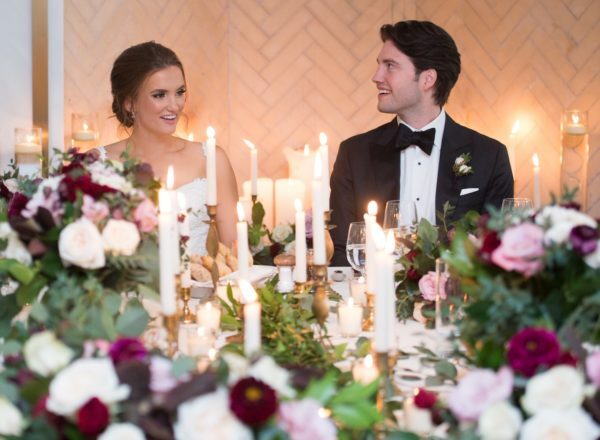 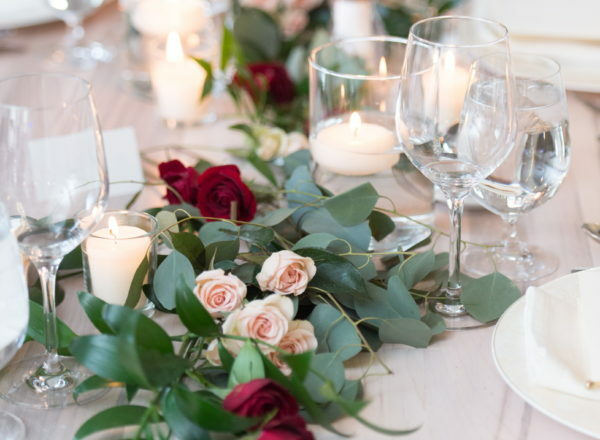 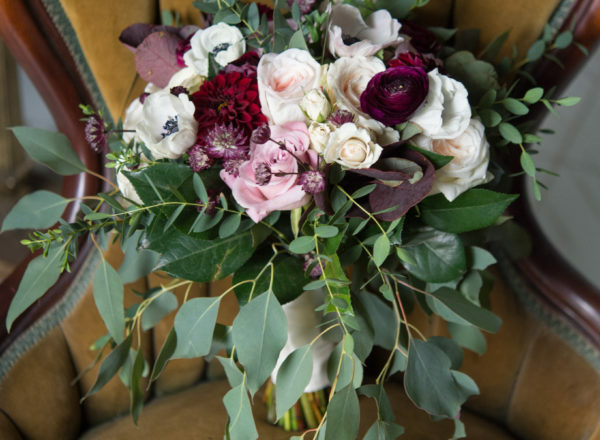 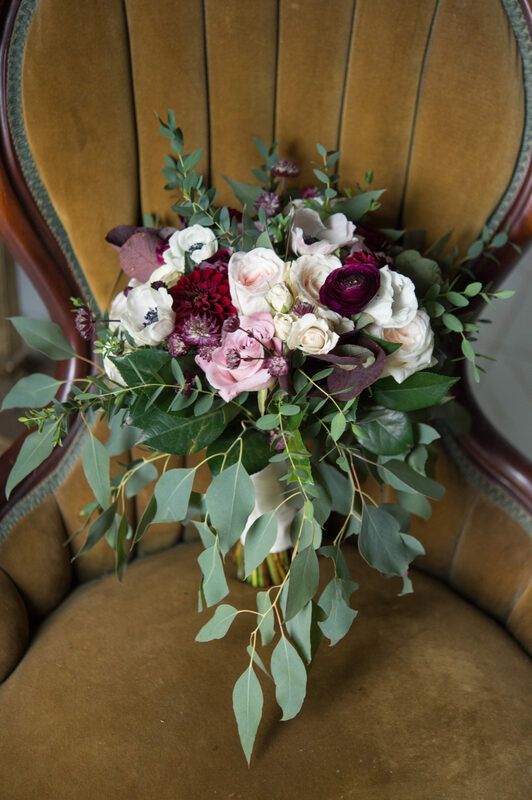 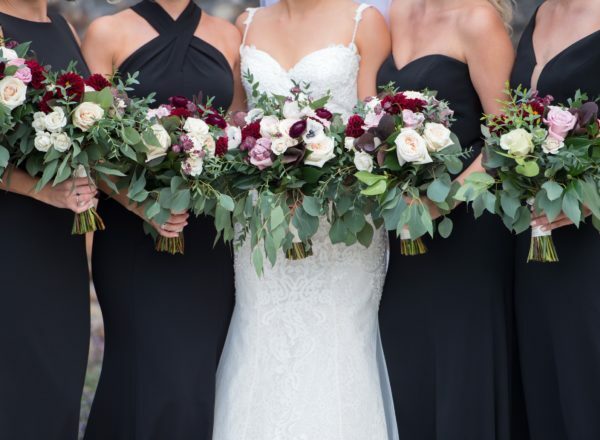 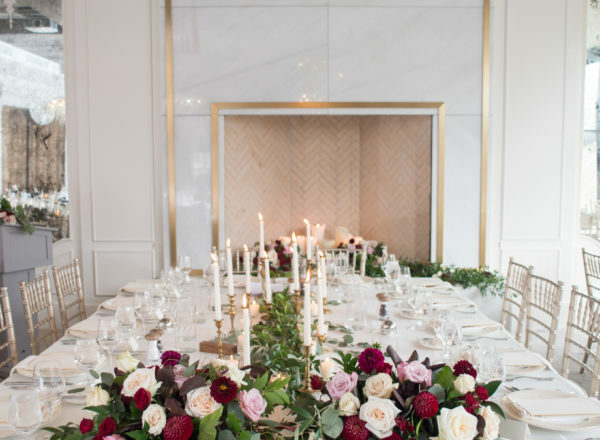 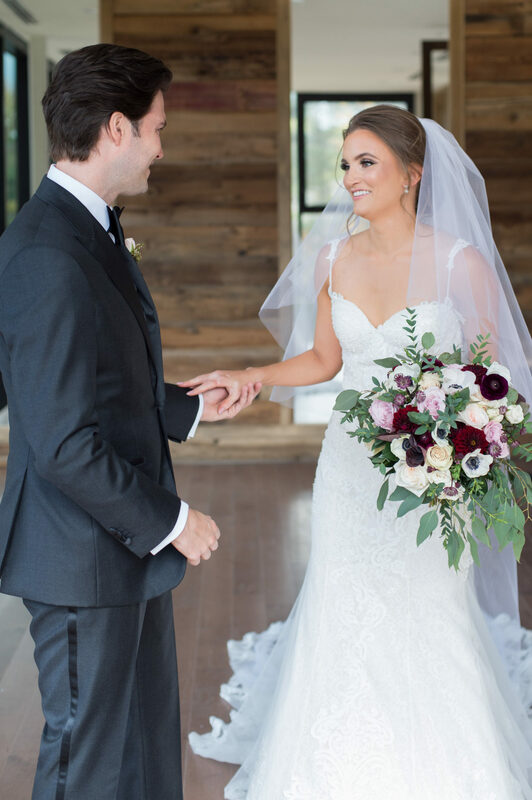 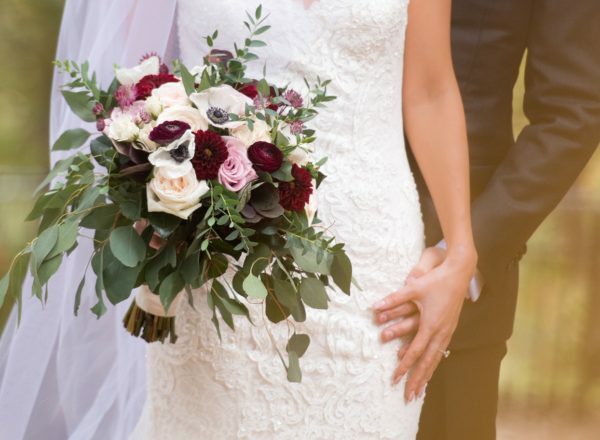 Jill carried a stunning bouquet filled with Dahlias, Garden Roses, Anemone and Astrantia in hues of burgundy and Ivory, the perfect compliment to her Rosa Clara gown. 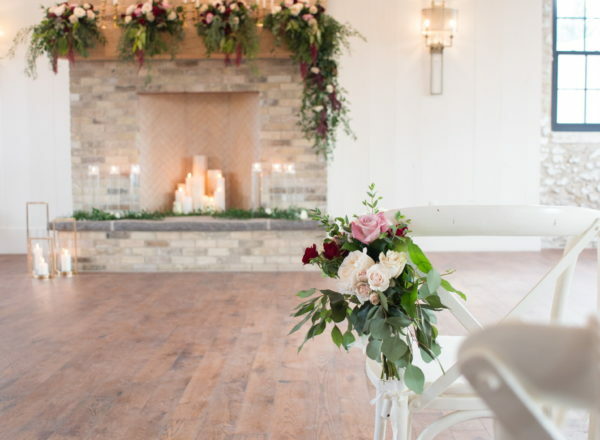 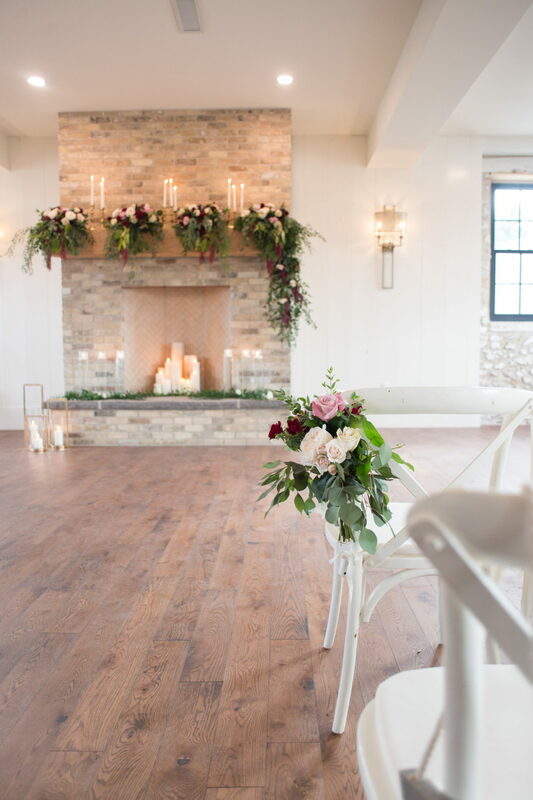 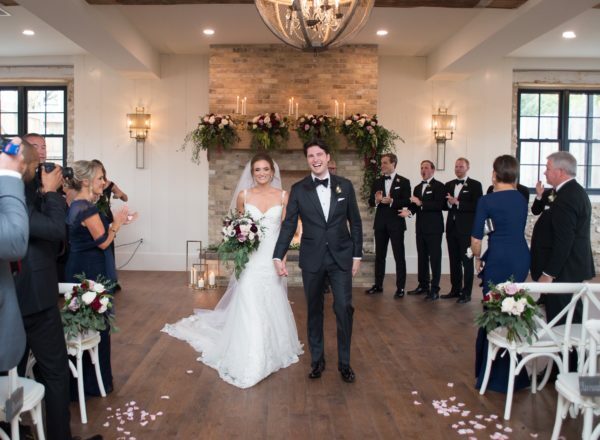 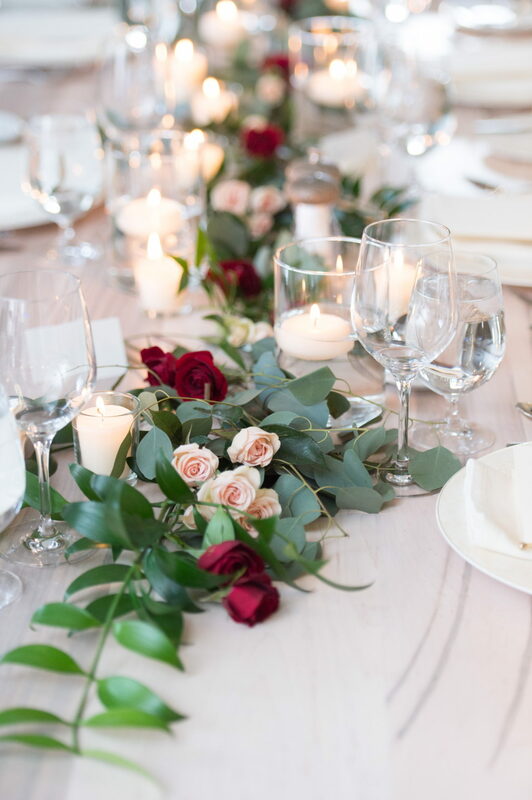 The Grand Room of the Granary building was transformed with beautiful neutral linens, low garden style centerpieces and an abundance of candlelight….Truly a swoon worthy reception to celebrate this wonderful couples new beginning. We wish them a lifetime of love together and years of happiness.